Hmmm…could this finally be the full English US album they’ve been talking about since forever ago? For those of you who don’t know, Garret works for Interscope Records, the girls US record label. Let’s hope so! I’ve been waiting for this one! It’s been announced for the 26th annual Golden Disk Awards (Korean Grammy Awards) SNSD has been nominated in three categories which include: Album of the Year, Digital Album of the Year and Most Popular Artist of the Year. The awards committee selects the winners based on sales figures throughout the year from January 1, 2011 to November 30, 2011, along with other various criteria. [UPDATED] Teasers From The Girls’ Japan Arena Tour Live Album? Just like how there were teasers of the girls’ Into the New World ‘The 1st Asia Tour’ Live Album, teasers of Jessica’s ‘Almost’ and TaeNy’s ‘Lady Marmalade’ studio versions have surfaced. Could it be that SM will release the girls’ Japan Arena Tour Live Album soon? 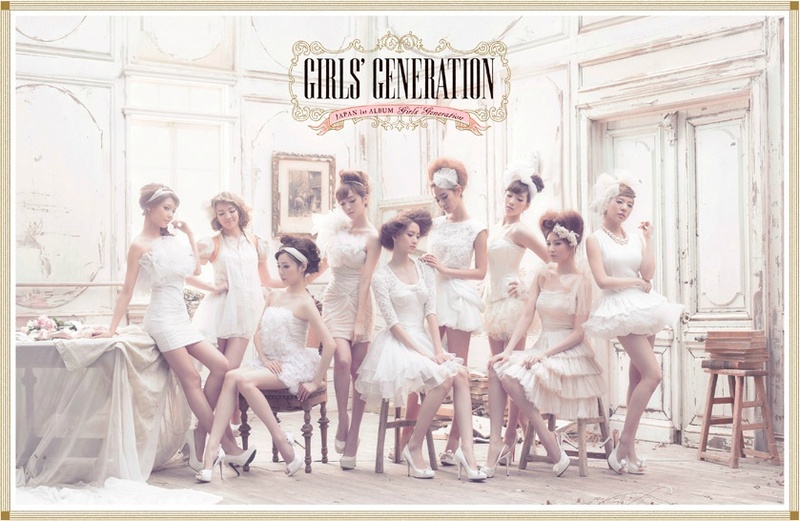 SNSD‘s first Japanese album, Girls’ Generation, debuts at #3 on the weekly album chart of United World Chart. The United World Chart is a worldwide chart issued every week by Media Traffic, using both sales (digital and physical) and airplay to determine the most popular albums and singles worldwide. The girls’ first Japanese album debuts as the third top-selling album in week 24 of 2011, behind Lady Gaga‘s Born This Way and Adele‘s 21. Shortly after Hoot promotions, year-end shows, television show appearances, etc. there’s more in store for the girls. Starting off the new year with a bang, SNSD will be working in both Korea and Japan to prepare for performances and record a new song!